Yesterday we had a wild day – thankfully not the kind of wild where the kids are bouncing off the walls and I’m tearing my hair out. No, we had a day where we reconnected with nature and ‘rewilded’. 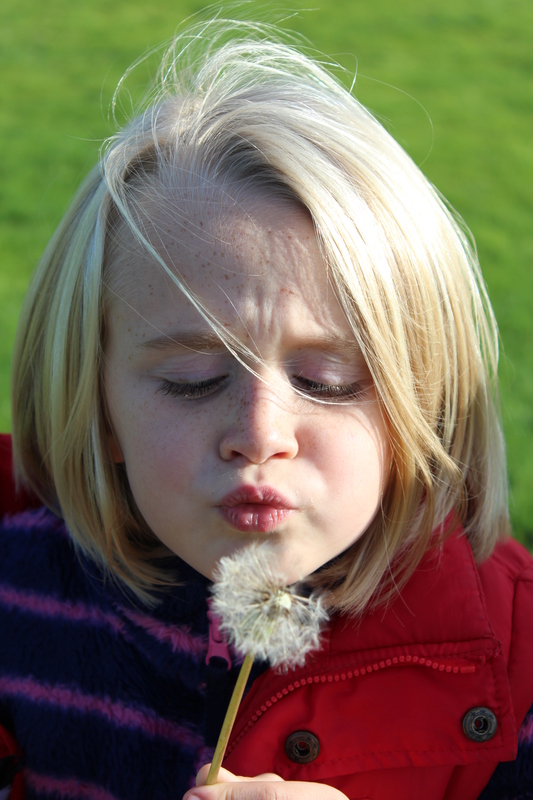 I’d love to say that she now has the most impeccable behaviour and listens to every word I say – actually that’s not true, I’m glad that my girls have strong characters and are able to express themselves, I just wish they’d do it a bit more quietly sometimes! 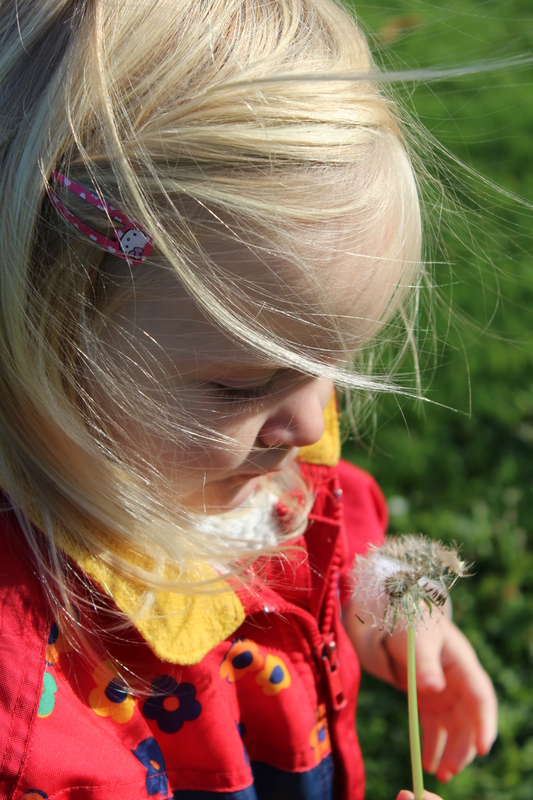 We love being outdoors (well, I do and I’m sure that this love rubs off on your kids doesn’t it?!) Being ‘at one’ with nature is so important to me and I really hope to instill some of this in my girls. So yesterday we walked, explored, chased sheep (oops! 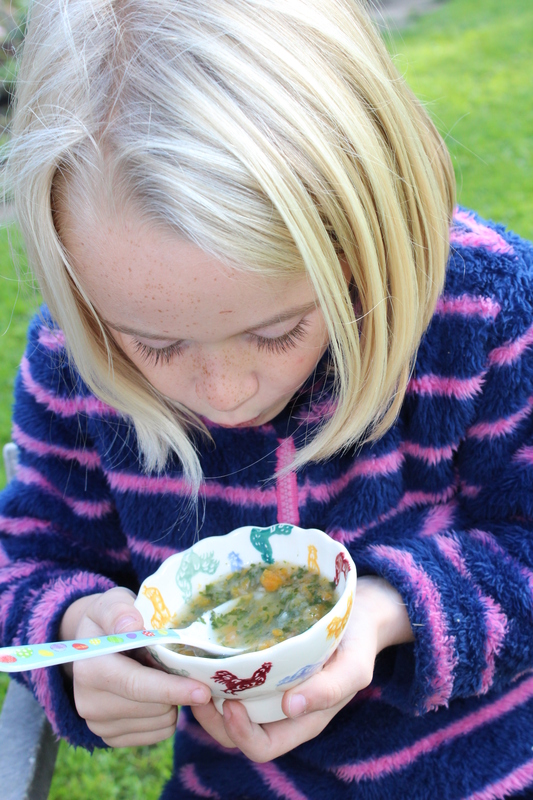 ), collected autumn treasures (seeds and nuts), foraged nettles, plantain and dandelion, harvested veg and made our own yummy soup… It felt great spending the whole day outdoors. And yes, we were learning! I highly recommend wild days – there is something very grounding about reconnecting with mother earth. My girls love art. They also love getting messy outside. Put the two together and they are in their element! I don’t like to prescribe what they do in terms of their learning. We are not completely ‘unschooling’ but I do like them to have choice and ownership over their learning – this can lead to chaos with art! It was lovely and sunny yesterday afternoon and we’d decided we needed a quiet day at home following our ‘adventure’ the previous day. 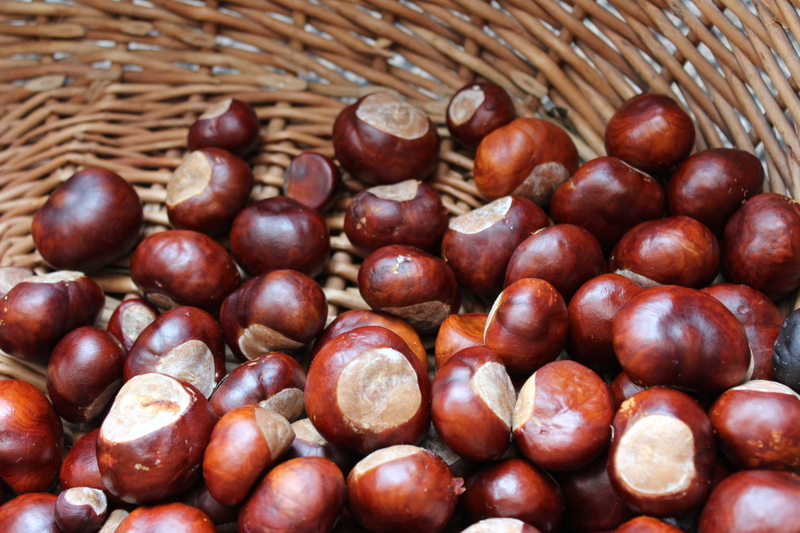 Poppet and Pickle wanted an outdoor activity so I sent them down the garden to collect leaves – mean Mummy I hear you say! 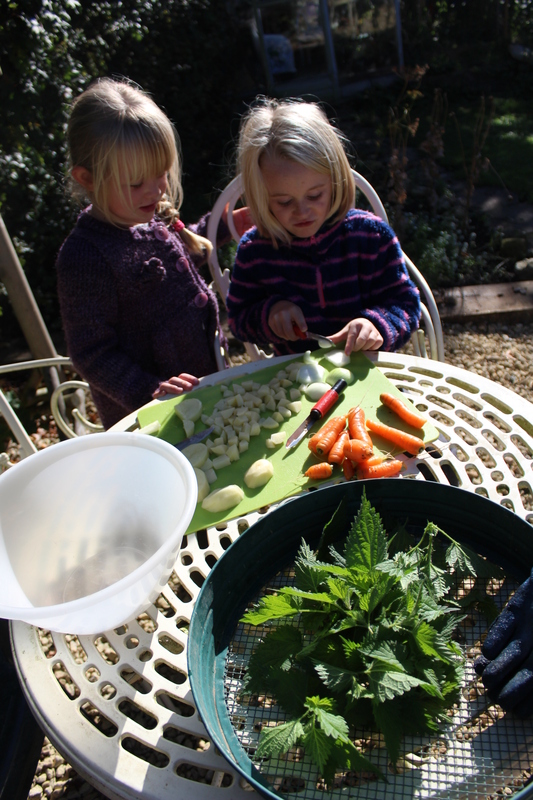 They happily took to their task while I settled Piccalilli for a nap. By the time I joined them they looked like two little gardeners, with rakes in hand and a huge pile of rainbow coloured leaves. 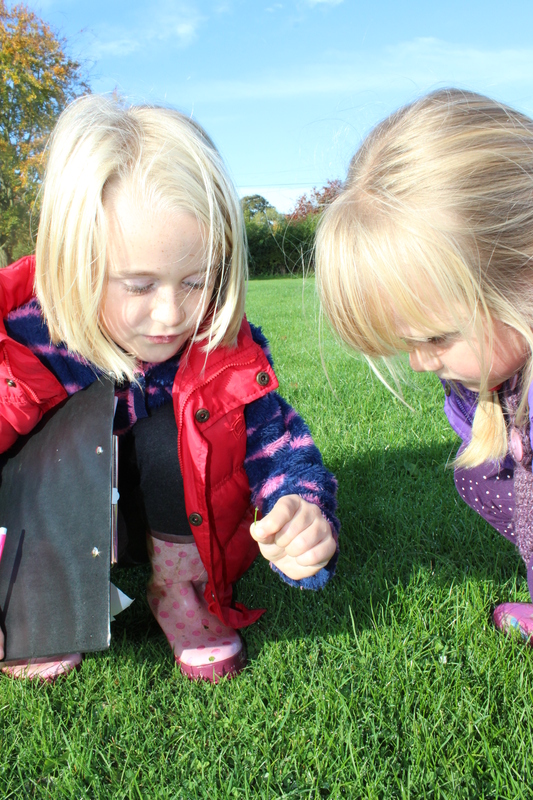 They asked my advice and opinion; we discussed colours and patterns; I enjoyed watching them buzzing around the garden looking for the correct colour of leaf… but essentially they made their own creations. 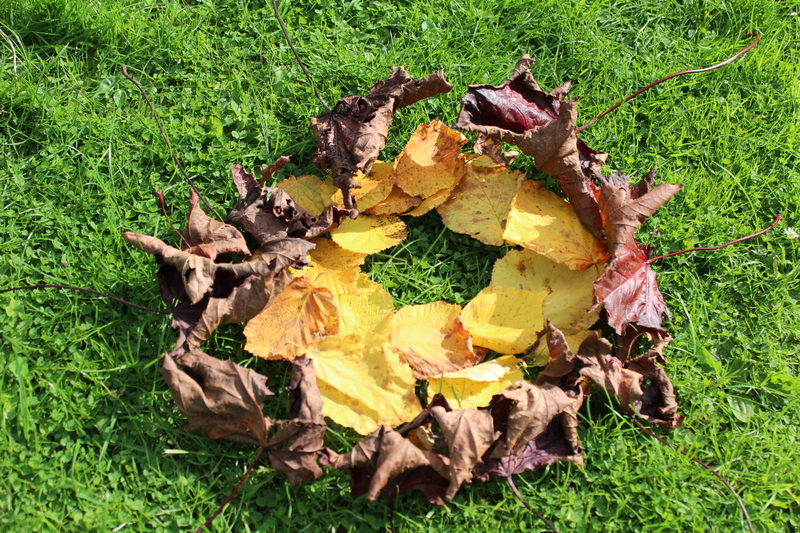 They reminded me of the art of Andy Goldsworthy and I felt very proud! An hour later they returned… covered in mud! And I mean covered, clothes and all! 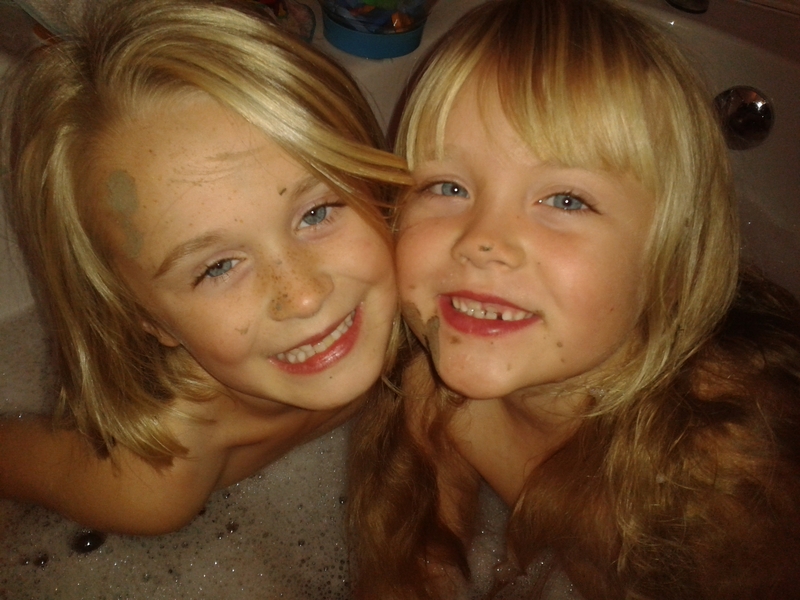 No art had been created, but a big, muddy hole had appeared and two little girls joyfully jumped into a warm, bubbly bath! In our family we have good days, bad days, happy days, sad days… We love this book and the simple message it gives. No matter how much you wish for happiness, no illness, perfection even, you can’t have them all the time. Life is about opposites and our family life seems to follow this pattern perfectly – why is it that we can’t have two consecutive ‘good’ days? 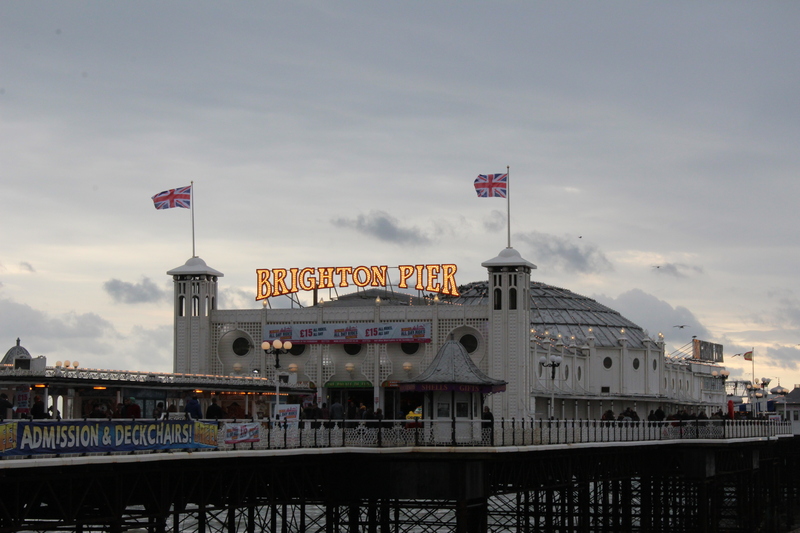 There was an air of excitement as we were going to meet some relatively new homeschool friends with the plan of a museum visit and picnic in the park. I thought I’d make it more exciting, so while everyone was happily scoffing their porridge (lots of energy for a busy day!) I checked the train times – 20 minutes was a push but I knew we could do it! Once onto the train, a kind man moved to allow us to sit together on four seats and everyone chatted excitedly about our adventure. The ticket lady gave the girls special tickets and explained all sorts of technical things about the machine she used and the tickets! The teacher and homeschool mum in me was thinking how great an educational experience this was, but mostly I was just enjoying watching my girls’ excitement and enthusiasm for a day of adventures. We arrived in the city, checked the return train times (I didn’t want to be stranded!) and set off to find the museum and meet our friends. All still going so well! I managed not to lose anyone on the walk through the smelly streets (Pickle’s observation but I guess when you live in the countryside the city can seem quite stinky!) They even held hands happily and continued to chat about the day ahead. The museum was fantastic and the girls had so much fun dressing up as Romans, making stewed brain and putting on shows for us… Three hours flew by. Suddenly it turned from good day to bad day, healthy day to sick day, fun day to ‘how on earth will I manage’ day! Poppet doubled over in pain with horrendous stomach cramps so we went to the toilet, with no luck. She couldn’t even manage to walk so we squeezed her (luckily she’s pretty tiny for a seven year old!) into the back of my friend’s double buggy and went to the park hoping she’d improve. It got worse. I spent 15 minutes in a grotty public loo with her screaming in agony while I tried to comfort her and hush her in case anyone called the police (it honestly sounded like she was being murdered!) Still no luck. So I was stuck in the city with a tired toddler (who by this point had a dodgy tummy and had been changed four times!) a tired five year old who had already trekked across the city twice and a seven year old who couldn’t walk. I laughed a lot, mainly thanks to the wit of my new friend – what can you do? Cry or laugh! 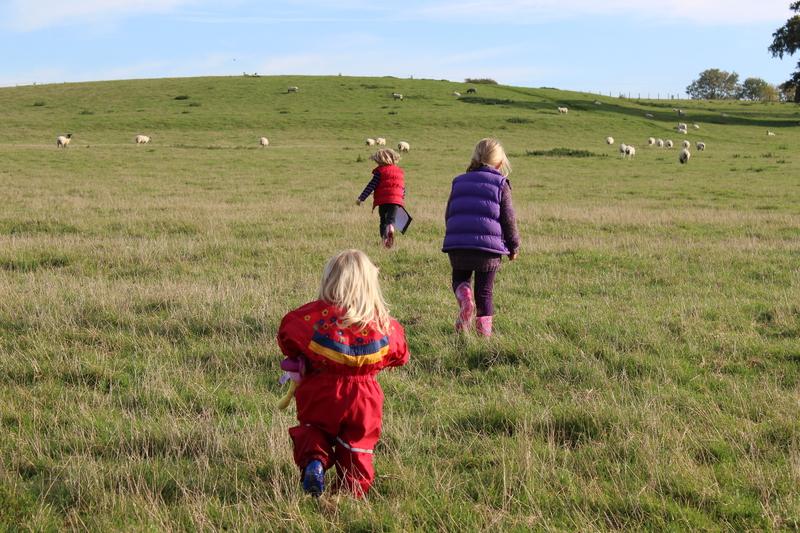 It was going to be a near impossible journey home involving a buggy, a bus, a train and a car with the combination of my increasingly difficult three children – who thought adventure was a good idea? Why didn’t I just drive? I’m not bitter but would love a bit of recognition for my part in the day!! Footnote: Poppet is fine now. When I was little I occasionally suffered with the same (so I was very sympathetic) and it was never explained but it stopped in my teens.